At Alex Elman Wines, our goal is to bring wine and food BACK down to earth. Our wines are easy to drink, easy to pair, correctly made and represent the terroir of their region. All of our products are good for you and good for the environment. Enjoy them every day as part of the celebration of LIFE! Alex personally travels the globe with her Seeing Eye Dog, General. 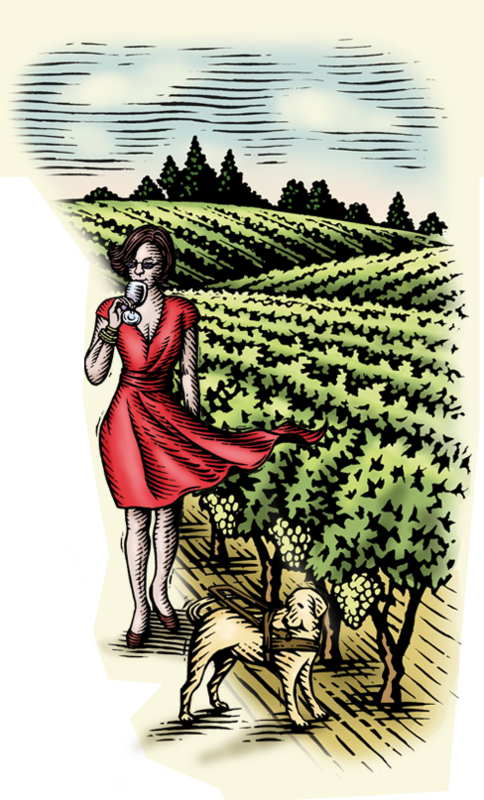 She unearths correctly made, honest, authentic and organic wines and foods that are approachable and affordable to the American consumer and therefore worthy of bearing the Alex Elman brand name. Alex Elman Olive Oil and a worthy Case team up !! Alex and General in another TV interview. A wonderful TV Interview on News 4 Jacksonville ! Alex in August's Oprah Magazine !